"Lvgvs", the new video from Swiss folk metallers ELUVEITIE, can be seen below. 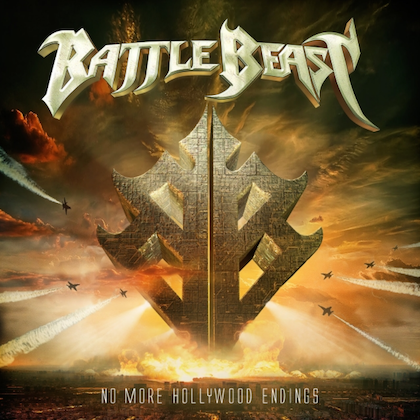 The song is taken from the band's next album, the long-awaited second part of their acoustic concept effort "Evocation", which will be released on August 18 via Nuclear Blast. ELUVEITIE mainman Chrigel Glanzmann states: "We're excited to present to you the second single and video clip of our upcoming acoustic album: 'Lvgvs'! Lugus is one of the most enigmatic, fascinating and mystical deities in the Celtic pantheon and occupies an important place in 'Evocation II'! And so is our brand new single: 'Lvgvs'. It comes with playful lightness, but is still very deep at the same time, full of mysticism, eclectic details, deepness and emotion. And furthermore we're also happy to have our good, old buddy Netta Skog from ENSIFERUM and her accordion on board in this song!" "Evocation II" conjures another time travel to eras long gone. As the title already reveals, the concept of the first opus will continue and is entirely dedicated to the Celtic mythology. 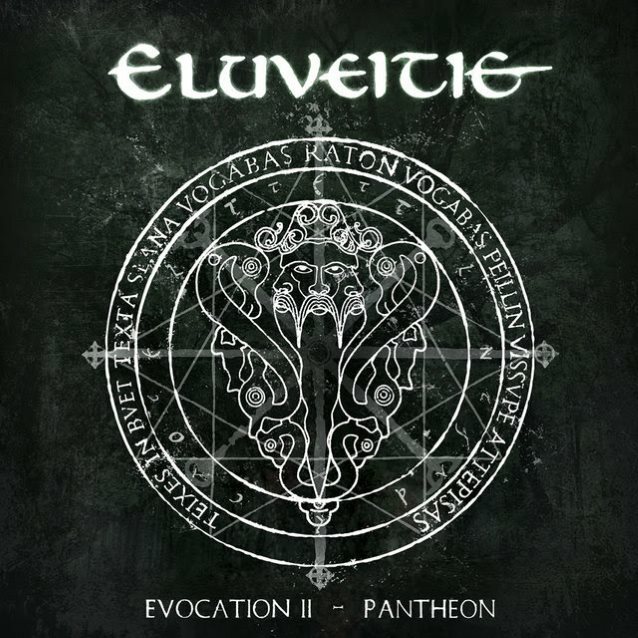 Even more, "Evocation II" takes you into the Gallic pantheon and bows down to the Celtic Gods after which the song titles are named. 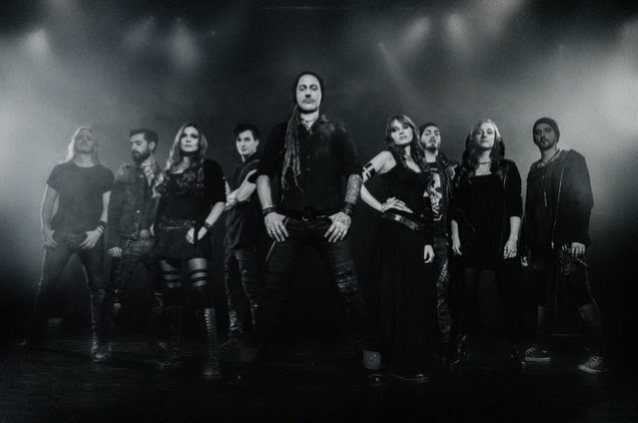 Anyone who will join ELUVEITIE on this journey will quickly notice that the character of each song is equal to the one of the god the song is about — and there is a lot more to discover! Glanzmann stated about the new CD: "'Evocation II' is a journey back to the source of it all: Antumnos, the otherworld. Join us on this wayfare through the Celtic pantheon, the world of the gods of our ancestors! 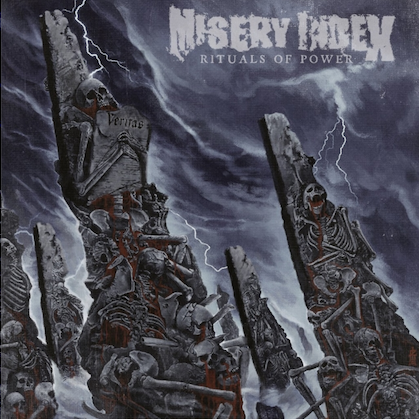 The album cover expresses nothing less but exactly this! It's full of symbolism and meaning and depicts things of deepest meaning and importance in Celtic mythology. The symbol contains the 'great wheel', symbolizing the wheel of the year with the four seasons and the equinoxes — forming the foundations of Celtic mythology. The great wheel is framed by a tripartite Enneagram; while three is an important number in Celtic mythology in general, we also face trinity in the Celtic pantheon! While the inner circle contains the initials of the names of the deities revered on this album — arranged tripartitedly according to their relations within the pantheon and place in the mythology — the outer circle utters an invitation as well as a blessing, a magical benediction for the one to dare to enter and set forth on this journey. The core of the symbol implies triune symbolism. The depiction shows the god Lugus, who was sometimes also adressed in the plural — Lugoves — since he's a triune god, as well as a tricephalos. The 'one with the skillful hand' and 'artisan of all skills' is depicted and a combination of two important symbols: On the one hand he's shown as 'high king' (and druid of druids), a typical gallic symbolism of an essential meaning and sigificance. On the other hand, he's framed by the gallic 'lord of the animals/lord of life' symbolism: The character surrounded with diverse animals, but being strongly connected with all of them at the same time. So after all, the album cover vibrantly and mystically expresses the content of 'Evocation II'! Join and let the journey begin!" ELUVEITIE in May 2016 announced the departure of drummer Merlin Sutter, vocalist Anna Murphy and guitarist Ivo Henzi. The band's last album, "Origins", was released in August 2014 via Nuclear Blast Records. The new lineup of ELUVEITIE made its live debut at the Eluveitie & Friends festival in January at Z7 in Pratteln, Switzerland.